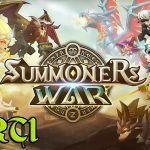 The fastest way to get free crystals in Summoners War, no hack, this is a sure way to get good monsters all f2p. 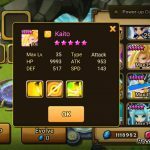 This is a guide for leveling up your monster faster by doing it solo or using friends monsters. 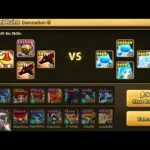 This summoners war guide/tip video will walk you through leveling up fast, I’m using Lushen here. 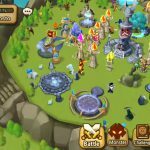 Tip #1: Using your friends monsters comes in especially useful here as they take no cut of the xp, so get adding strong friends, guys! 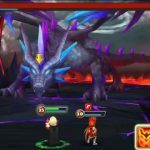 Tip #2: Level up on the ‘hell mode level 1’ your monster type is strong against, you can do this by checking info just before you launch battle. 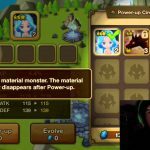 Tip #3: Runes farmed from hell mode can be sold for good mana, this doubles as a mana farming vid guide too. Tip #4: If you are not strong enough for hell mode, you can do the same on normal and hard mode for good exp. Try Faimon and earlier levels. Tip #5: Even losing still gives almost half the xp, so it is not a complete waste if you lose, if you pick a real weak monster and farm the highest level e.g. 5, you will die and gain XP very fast. Tip #6: You can earn crystals and use them to purchase XP boosts from the Special shop. Tip #7: Some events will offer double XP during a certain time frame, you can combine this with XP boosts that can be bought with crystals. Tip #8: Farming the bosses takes much longer and gives less xp? so avoid these when trying to level fast. Note: This tip can be done on all mode types, even if you lose the xp is still good, farming the later levels (2-6) is better on regular (normal) mode. In hell mode, farming on level 1 is the most effective way as it is faster and the xp yield is almost the same. The new dungeon maps are really good for the extra xp they give, but Faimon Volcano works almost as good.